A groundbreaking panoply of leading scholars and educators, committed to each and every student. With one foot firmly planted in the world of Torah and mitzvot, and the other in the dynamic and eclectic world of Jewish scholarship in Israel, each member of the Amudim faculty has a wealth of knowledge and experience and is uniquely poised to look at Torah from multiple angles, address big questions at the forefront of students' minds, press students to "think higher" and facilitate independent thought. Experts in their fields, they are eager to devote their time to learning and establishing relationships with the curious, motivated and intellectually-adventurous students at Amudim. Dr. Julie Goldstein’s teaching experience includes NYU, Ma’ayanot High School, JLIC at UCLA, and nearly two decades of Jewish communal and adult education lectures. Dr. Goldstein received an MA in Jewish philosophy at YU and a joint PhD in medieval history and Judaic Studies at NYU. In 2013-14, she was a Golda Meir postdoctoral fellow at The Hebrew University and a research fellow at The Global Research Institute at Tel Aviv University. Dr. Goldstein has received a number of awards, including fellowships from Cardozo’s Center for Jewish Law and Civilization and The Memorial Foundation for Jewish Culture. She lives in Beit Shemesh with her husband, Rabbi Uri Goldstein, and five awesome kids. Rabbi Darrell Ginsberg is the Rosh HaYeshiva of Yeshivat Migdal HaTorah. He received his semicha from Yeshivat Bnei Torah, was magid shiur at Yeshiva Gedola of West Hempstead, rebbe at Rambam Mesivta, and is a primary contributor to Ner Maaravi, a widely read weekly compendium of divrei Torah. In addition to his shiurim in Migdal, Rabbi Ginsberg is a highly sought after lecturer. He delivers popular weekly shiurim at Kehillat Shaarei Yonah Menachem (located in Modi'in) as well as in Hashmonaim a nearby Yeshuv. Additionally he maintains a limited practice in dentistry. Rabbi Jonathan Duker earned his BA and MA in Jewish History from Yeshiva University and received his rabbinical ordination from Rabbi Zalman Nehemia Goldberg and Yeshivat Chovevei Torah. He is a lecturer of Jewish Thought and Talmud for Matan – The Sadie Rennert Women’s Institute for Torah Studies in Beit Shemesh. He is the author of The Spirits Behind the Law: The Talmudic Scholars (Urim Publications). Rabbi Duker lives in Beit Shemesh with his wife Susan and their four children. Ruth Hasin is currently completing her B.Ed, specializing in Jewish Philosophy and Torah Sheba'al Peh. Ruth grew up in Hashmonaim, studied at the beit midrash in Migdal Oz. She served for two years in the IDF Spokesperson's Unit, and after completing her service, she returned to shana bet in Migdal Oz. Ruth is a graduate of the LEAD leadership, and she coordinated the Midreshet Afikim summer program at Midreshet Nishmat for two years. Ruth has rich experience in informal education with young and teenage girls. Aviva Sterman is currently completing her certification to be a Yoetzet Halacha at Nishmat. She has a master’s degree in Talmudic Interpretation from YU and a bachelor’s degree in anthropology from NYU. Aviva has been involved in formal and informal Jewish education, including as a Jewish Learning Initiative on Campus fellow at Princeton University and teaching in shuls and other venues throughout the New York area. She has also worked in non-profit administration, for organizations such as Hazon, Young Judaea, and Consumer Reports. Aviva made Aliya with her family in 2015 and currently lives in Givat Shmuel with her husband and two adorable daughters. Rabbi Dr. Jeffrey R. Woolf, of the Talmud Department at Bar-Ilan University, is an internationally known scholar, lecturer and public figure. He specializes in the History of Halakhah, Medieval and Renaissance Jewish History, and the inter-action between Judaism, Islam and Christianity, and is the author of The Fabric of Religious Life in Medieval Ashkenaz. Channa Lockshin Bob is Head of Judaics at the Yachad School, a mixed religious-secular school in Modi'in. She has taught Talmud and Halacha at Midreshet Lindenbaum. Before making aliyah in 2009, Channa taught Talmud and Halacha at Drisha and at Maayanot Yeshiva High School. Channa has an MA in Religion from Columbia University and is a graduate of the Drisha Scholars Circle. R. Dr. Eliezer Shore is a teacher of Jewish thought and spirituality who has studied with some of the great Hasidic masters of today. 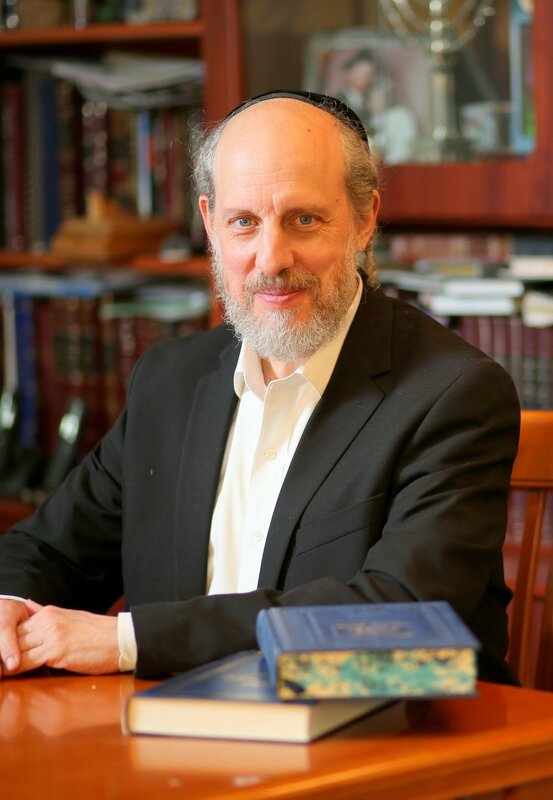 In addition to receiving rabbinic ordination from R. Zalman Nechemia Goldberg and maintaining deep commitment to Jewish life and practice, he has a university background in comparative religion, an M.A. in Jewish Education from Yeshiva University and a Ph.D. in Jewish Philosophy from Bar Ilan University. His unique approach to teaching analyzes Jewish texts not only for what they say, but for what they mean - culturally, historically and philosophically. Besides Amudim, R. Shore teaches as the Rothberg International School at Hebrew University and Michlalah Jerusalem. His recent book, The Face of the Waters, is an anthology of thought-provoking essays and stories based upon Hasidic teachings. He is also a dynamic storyteller, whose original tales and renderings have appeared in various anthologies and been read over international radio. He lives in the Ramat Eshkol neighborhood of Jerusalem with his wife and five children. Dr. Miryam Brand holds a PhD in Bible and Second Temple Literature from New York University and an MA in Bible and Biblical Interpretation from Matan and Haifa University. Her book on the portrayal of sin in the Second Temple period, Evil Within and Without: The Source of Sin and Its Nature as Portrayed in Second Temple Literature, was published in 2013. She has taught at Brown University, New York University, and Stern College and has spoken at Matan, Hebrew University, Cambridge University, and the University of Kiel. She is currently an Associate Fellow at the Albright Institute of Archaeological Research. Rabbi Jeffrey Saks is the founding director of ATID – The Academy for Torah Initiatives and Directions in Jewish Education and its WebYeshiva.org program, and is an Associate Editor of the journal Tradition. Rabbi Saks is the Series Editor of The S.Y. Agnon Library at The Toby Press, and lectures regularly at the Agnon House in Jerusalem. 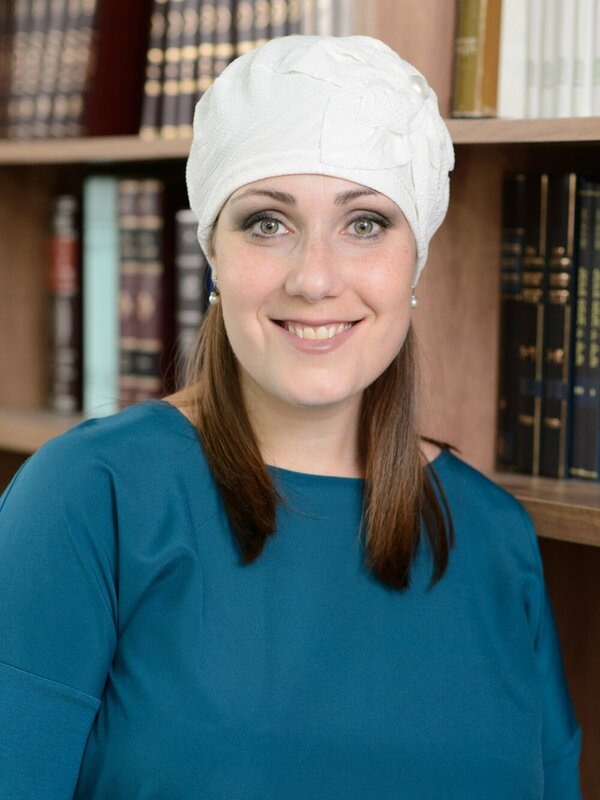 Dr. Hannah Hashkes is a fellow at the Susi Bradfield Women's Institute for Halakhic Leadership in Jerusalem. She earned her PhD in philosophy at the Hebrew University in Jerusalem in 2005 and since then has been teaching and lecturing in Jewish thought, gender and literature. Her book, Rabbinic Discourse as a System of Knowledge: The Study of Torah is Equal to Them All (2015), discusses Torah study and halakha in terms of contemporary philosophy. Dr. Hashkes serves on the executive board of Beit Hillel. She and her husband live in Jerusalem and have four children. Rav Yoni Rosensweig is a community Rabbi of the Netzach Menashe community in Beit Shemesh, and the author of several books. He also teaches Halacha, Gemara and Machshava at Midreshet Lindenbaum. Between the years 2006-2009 he served as Rosh Kollel of the Mizrachi community in Melbourne, Australia. Upon his return, he headed Yeshivat Hamivtar for three years, and then became Rosh Yeshiva of Yeshivat Shevut Yisrael in Efrat, a post which he held until 2016. Rav Yoni has Semicha from Rav Nachum Eliezer Rabinovitch and from the chief rabbinate, a Bachelors of education, and a Bachelors in philosophy and history. Dr. Avigail Rock holds a PhD in Tanach from Bar-Ilan University, has been teaching Tanach and Torah Shebeal Peh for over two decades in Israel and abroad. Her online classes appear regularly through Yeshivat Har-Etzion's Virtual Bet Midrash,. She is a certified Rabbinical Advocate and lives in Bet Shemesh with her husband, Rabbi Yehuda Rock, and their five children. Rav Zvi Leshem grew up in the USA and made aliyah in 1979 with his wife Julie. He was ordained by the Chief Rabbinate of Israel and holds a PhD in Jewish Philosophy from Bar-llan University, specializing in Hasidism. He served for close to three decades in senior positions in Torah Education and over ten years as a community rabbi in Efrat. Since 2011 Rav Zvi has been the director of the Gershom Scholem Collection for Kabbalah and Hasidism at the National Library of Israel. He is the author of "Redemptions: Contemporary Chassidic Essays on the Parsha and Festivals.” He and Julie live in Efrat. They have six children and many grandchildren all over Israel. Shonny Solow served as the dean of Machon Gold, a women's seminary in Jerusalem, until 2007, and then led the Educational Leadership Advancement Initiative of Bar Ilan Universty's Lookstein Center, an educational leadership program in New York, until 2014. A resident of Modi'in, she is currently an adult education professional in Jerusalem and Modi'in. Rabbi Joshua Yuter received ordination from YU, where he also earned a BA in Computer Science and an MA in Talmudic Studies. He also holds an MA in Social Sciences from the University of Chicago. He served as the rabbi of The Stanton St. Shul on New York’s historic Lower East Side from 2008-2014 and is an award winning blogger, as well as writer and lecturer on various issues pertaining to law, theology, and society as seen from the unique perspective of a second-generation Rabbi with diverse personal and professional experiences and interests. In 2012 he was acknowledged by the National Jewish Outreach Program as one of the Top Ten Jewish Influencers for “creative and strategic use of social media to positively impact the Jewish community” and in 2014 was named one of PC Magazine’s Top 100 People to Follow. In addition to his academic pursuits, Rabbi Yuter has worked as an applications developer for Information Builders and JPMorgan Chase and created www.JewishGuitarChords.com. Malka Hubscher studied at Michlalah and earned a BA in Jewish Studies and an MA in Bible at Yeshiva University. She moved to Israel in 1999 and continued her studies in Matan in Jerusalem. In 2000 she began teaching in various Midrashot and Adult Education forums. She lives in Efrat with her family. Rabbi Dr. Aaron Adler is a former student of and was special assistant to Rabbi Joseph B. Soloveitchik. In addition to being a graduate of YU, with rabbinic ordination from RIETS, Rabbi Adler holds a Ph.D in Talmud from Bar-Ilan University. Having made aliyah in 1979, he served on the faculty of Bar-Ilan University and is a past president and campus rabbi at Emunah College for Arts and Technology in Jerusalem. He has been a lecturer for the IDF and a commentator for Kol Yisrael radio. Rabbi Adler is the founding Rosh Yeshiva of Yeshivat Bnei Akiva Ner Tamid, located in Hashmona'im, and currently serves as its President. He is an active community pulpit Rabbi serving during the past 34 years communities in Long Island City, NY, Beersheva, Ramot, Jerusalem, Zurich, Switzerland, and most recently the Ohel Nechama community Synagogue in Katamon, Jerusalem. His current educational activities include: Lecturer at the Herzog College, OU Israel Center, and the Kollel Sinai. Rabbi Adler has directed and led 30 heritage tours to Poland. 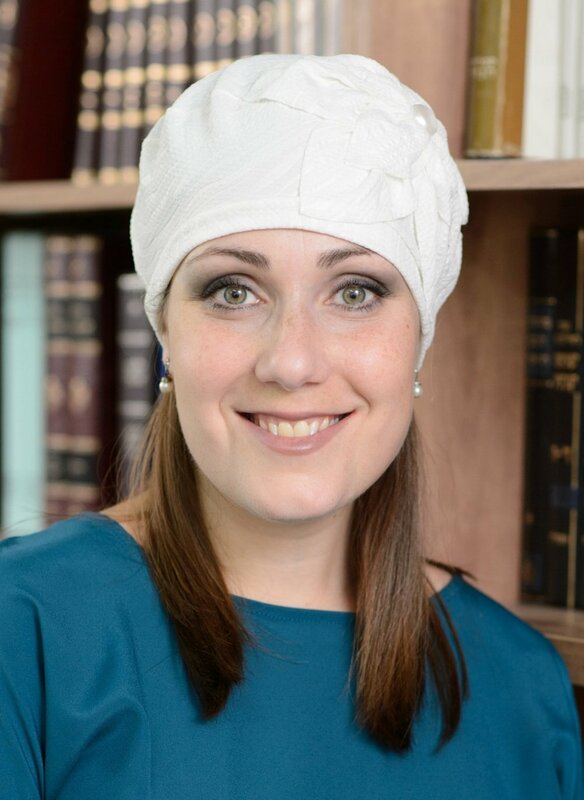 Rabbanit Shira Zimmerman is a graduate of the the Susi Bradfield Women’s Institute for Halakhic Leadership at Midreshet Lindenbaum (the equivalent of the chief rabbinate’s semikha for men) and the Matan Institute for Advanced Talmudic Learning. She also holds a BA in Talmud and Tanakh from Bar Ilan. Rabbanit Shira is the Rosh Beit Midrash at Midreshet Emunah V’Omanut and has spent many years giving shiurim in Gemara, Halacha, and Tanach to seminary students and her community in Gush Etzion. Matthew Lipman has been working in Israel education for more than 15 years. He has taught Judaic Studies at Jewish Day Schools in North America, written high-tech educational materials for U.S. public schools, the IDF and an online Jewish day school, and has worked in informal Jewish education for many years. In addition to his teaching work at several gap year programs in Israel, he trains Day School leaders in North America to create meaningful Israel education programs. Matthew has a B.A. in Politics and History from the University of Liverpool and holds a Master’s Degree in Jewish Education from the Hebrew University. He lives with his family in Modi’in. Rachel Hershberg grew up in Palo Alto, California, and has a BA in Religion from Columbia University. After studying at numerous institutions in Israel, she taught and advised students at She'arim College of Jewish Studies in Jerusalem for fifteen years, as well as teaching at various local shuls and women's learning programs. She recently finished a year as an Eshkolot Fellow in Tanakh Studies at the Matan Institute in Jerusalem. Currently living in Beit Shemesh with her husband and four children, Rachel has also taught English and yoga. She is interested in almost everything. As part of Amudim’s goal to foster healthy mind, body and spirit, Tova Eastman, founder of Ignite Fitness for Women and well-known personal trainer, certified nutrition specialist and fitness motivator, will bring her friendly, energetic, encouraging, and goal-oriented style of training into Amudim's weekly Chilutz Atzamot sessions. ACE certified, with multiple years of experience working with women and girls of all ages, Tova will take the students out of the Beit Midrash and into the studio to work on toning, cardio, strength, and agility training, and offer boot camps and classes in Zumba, HIIT (High Intensity Interval Training) and other combinations of exercise that they will choose. As with all of her clients, Tova will push the students to work to their potential without going past their maximum limits of exertion and will help them to “Think Higher” in every aspect of their Amudim experience. Bobbi Esther Gordon made Aliyah from Pittsburgh in 2010. She received her B.Ed. and Teaching Certificate from Michlalah Jerusalem College. For the past few years she has enjoyed being a stay-at-home Mom and recently started a part time business from home. She enjoys music, Torah, and spending time with people, especially children. Coming from a long line of educators, Bobbi has always loved sharing experiences and imparting values and knowledge to others, as well as learning many lessons for herself along the way. Bobbi and her husband Ari are overjoyed to open up their home to all the girls at Amudim whether it be for some hot chocolate, a touch of Torah, or a Shabbos meal and their 3 adorable children are very excited to adopt so many big sisters!